Going through my play history to pull together my best-of lists is one of my favorite year-end activities. It’s always tough to pare the list down to 50, but these are the tracks I’ve had in heavy rotation and/or I think I’ll want to keep listening to years into the future. As a sign that I’ve been keeping up my live music habit, I’m pretty excited that I managed to see half of the bands featured in this list live on stage this year! Some of the performance highlights for me this year were Sylvan Esso, Grandaddy, Hamilton Leithauser, and Spoon at SXSW; Perfume Genius and Wolf Parade at Capitol Hill Block Party; Lorde, SOHN, and Maggie Rogers at Outside Lands; Cold War Kids, Arcade Fire, New Order, and U2 at their own shows; and Blitzen Trapper playing an acoustic set visiting our Amazon Music offices in San Francisco. And let’s not forget Paul Allen’s inaugural Upstream Fest in Seattle that transformed Pioneer Square into a music lover’s dream for a weekend. 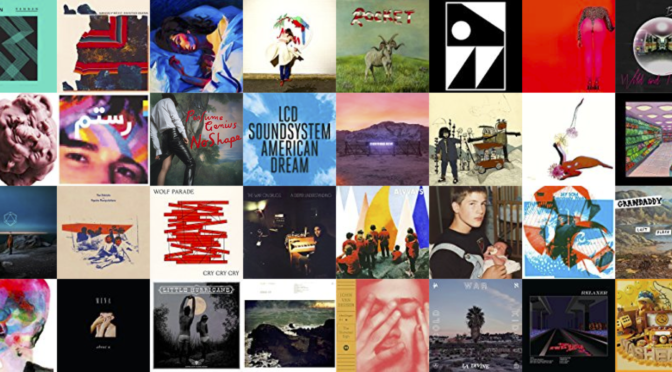 And with that, here are my favorite 50 songs of 2017. If you prefer, you can jump to the end to see Amazon and Spotify playlists.